Almost all young children ages 3 to 6 years with chronic hepatitis C achieved sustained virological response after 12 weeks of treatment using sofosbuvir/ledipasvir oral granules, according to findings presented at the 2018 AASLD Liver Meeting in San Francisco. The prevalence of hepatitis C virus (HCV) infection is low among children in Europe and the US, though there is concern that the rate may be rising in the US as more young women become infected as a consequence of the burgeoning opioid epidemic. In some resource-limited countries such as Egypt, HCV among children is much more common. The advent of direct-acting antiviral agents (DAAs) has revolutionised the treatment of hepatitis C for adults. These include Gilead Science's HCV polymerase inhibitor sofosbuvir (marketed alone as Sovaldi) and NS5A inhibitor ledipasvir, which are co-formulated in a 400/90mg once-daily tablet (Harvoni). Last year the European Medicines Agency and the US Food and Drug Administration approved sofosbuvir and the Harvoni co-formulation for adolescents and teens age 12 or older, or weighing at least 35kg. For younger children, however, the standard of care remains pegylated interferon plus ribavirin, which is less effective, poorly tolerated and requires weekly injections for up to two years. At last year's EASL International Liver Congress, researchers reported that treatment with a half-strength tablet containing 200/45mg sofosbuvir/ledipasvir for 12 weeks cured 99% of children ages 6 to 11 years with chronic hepatitis C.
Gilead went on to develop an oral granule formulation for younger paediatric patients. The granules can be sprinkled on the tongue or mixed with non-acidic foods such as ice cream or pudding. In a pharmacokinetic study, children weighing 17kg or more received 200mg sofosbuvir plus 45mg ledipasvir, while those weighing less received 150mg sofosbuvir plus 33.75mg ledipasvir. These doses produced drug exposure levels within the range known to be effective for adults. 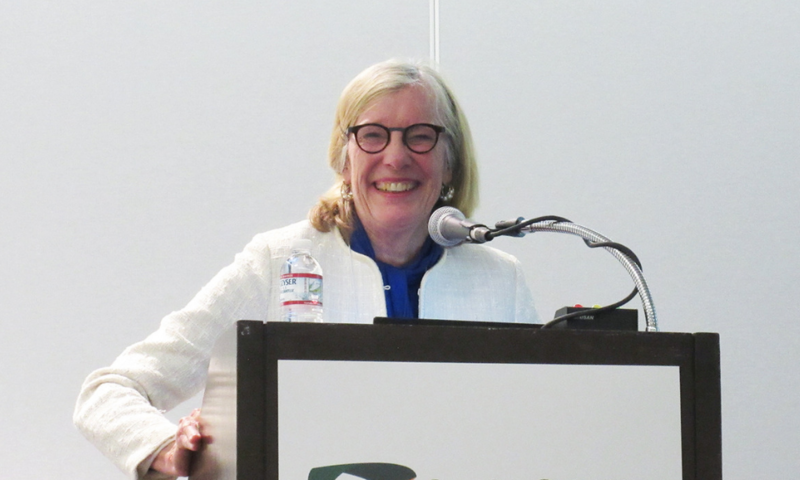 At The Liver Meeting, Dr Kathleen Schwarz of Johns Hopkins Hospital in Baltimore presented results from a study of the new formulation in 34 children in the UK, US and Australia. About 70% were girls, about 80% were white and all were infected via mother-to-child transmission. The mean age was 4 years and 29% weighed less than 17kg. All but one had HCV genotype 1, with the remaining child having genotype 4. They were all previously untreated and none had liver cirrhosis. After 12 weeks of therapy plus 12 weeks of post-treatment follow-up, all but one child achieved undetectable HCV RNA – a sustained virological response rate of 97%. The child with genotype 4 was among those cured. There was one early discontinuation, but no cases of virological treatment failure. All children with resistance-associated viral mutations at baseline were cured. Treatment was generally safe and well tolerated. There were no serious adverse events, laboratory abnormalities or treatment discontinuations due to severe side-effects. One child stopped treatment after five days because of the taste of the drugs. The most common adverse events were typical symptoms of childhood illness such as vomiting, cough, fever, runny nose and strep throat infection. Based on these findings, the researchers concluded that the sofosbuvir/ledipasvir granule formulation "represents a highly effective, well tolerated treatment option" for children 3 to 6 years old with chronic HCV infection. Schwarz said she expects that these results will lead to updating of HCV treatment guidelines to recommend that all children with hepatitis C age 3 and older should to be treated with direct-acting antivirals. Schwarz K, et al. Ledipasvir/sofosbuvir for 12 weeks is safe and effective in children 3 to <6 years old with chronic hepatitis C virus infection. AASLD Liver Meeting 2018, San Francisco, abstract 0184, 2018.